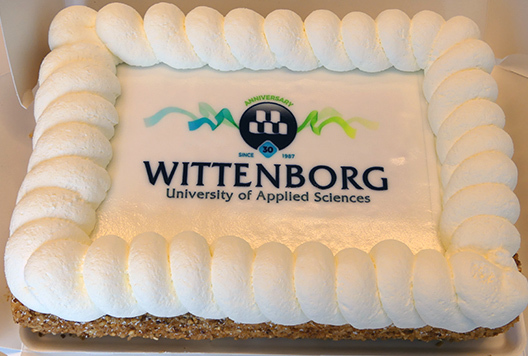 Today 21 September 2017, Wittenborg University of Applied Sciences celebrates a great milestone - 30 years of providing quality education to students from more than 100 different nationalities! 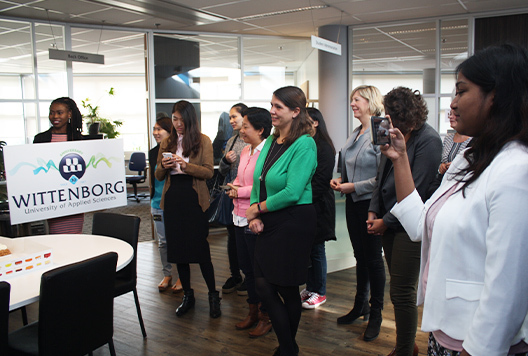 The day has been celebrated by students and staff at the Wittenborg campuses in Apeldoorn, Amsterdam and Vienna. This has resulted in a long list of alumni who have distinguished themselves in many industries, achieving great success and serving as role models in communities all over the world. Wittenborg is proud to have made a contribution in shaping their future, providing a unique international perspective in their training. Wittenborg College was founded in 1987 as a small, private institute in Deventer, preparing its students for careers in banking, insurance and property management. In 2002, it started developing English-taught business programmes, and in 2008 management was taken over by Peter Birdsall and Maggie Feng. 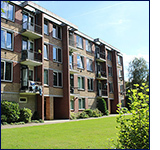 In 2010, Wittenborg moved to Apeldoorn where it has two locations and various properties used for international student accommodation. The name officially changed to Wittenborg University of Applied Sciences in 2013. 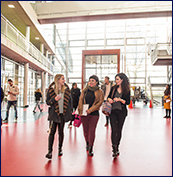 Today, with almost 700 students from 80 different nationalities, Wittenborg is considered one of the fastest-growing, most international institutes of higher education in the Netherlands. 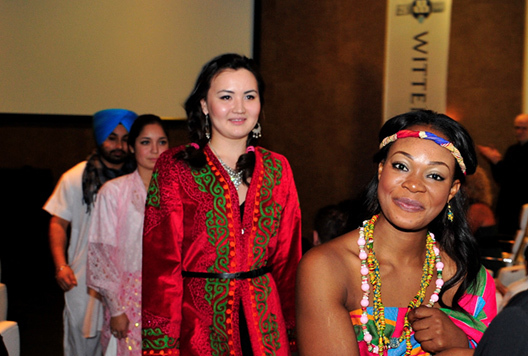 It has locations in 3 European cities - Apeldoorn, Amsterdam and Vienna - and offers Bachelor and Master programmes. With its School of Business and School of Hospitality established, it now aims to establish schools of Education, Arts & Technology, as well as Health and Social Care. Dust off your dancing shoes, because Wittenborg's 30th Year celebrations will culminate on 10 November in a magnificent gala at the Apeldoorn City Hall. Festivities will start from 19:30 onwards. 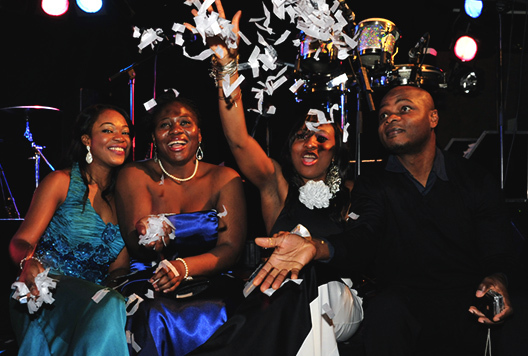 The event promises an unforgettable night of live entertainment, dancing, drinks and snacks, surpassing even the 25th anniversary gala in 2012. Besides students, alumni and staff, invites have also been sent to Wittenborg alumni, education partners like the University of Brighton in the UK, Nuffic, the Ministry of Education, NVAO, NRTO and FIBAA, and representatives from various foreign embassies in the Netherlands. New international students coming to study at Wittenborg University of Applied Sciences need not worry about housing - the university has always provided shared, affordable accommodation to incoming students and continues to do so. 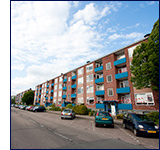 Starting from the time the institute was situated in Deventer, Wittenborg has always ensured students have rented accommodation in the city, making them feel at home and allowing them to adapt to their new environment quicker. 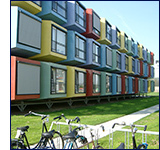 When Wittenborg moved its operations to Apeldoorn in 2010, the university worked closely with local housing corporations to provide shared accommodation for students. In addition, as a temporary solution to support growing student numbers, it set up the Spaceboxes in 2012. The Spaceboxes - ship containers transformed into independent units for single-occupation - were a colourful feature of the Apeldoorn landscape for 5 years. Full Force Sports Academy, that has made some of its modern apartments available for Wittenborg students. Currently the institute has a mixed housing approach when it comes to accommodating its students. Besides the existing property, it just purchased and renovated a former office building in the heart of Apeldoorn into student accommodation. It acquired the property in partnership with Van der Leij Vastgoed, a project developer specialising in re-purposing office space into living quarters. In addition, the university continues to rent a minimum number of properties from housing corporations. For more than two decades Wittenborg was situated in Deventer, first at a handsome villa on the Pikeursbaan where it was opened by the Mayor on 21 September 1987, then to the 'Villa de Heuvel ' on the Diepenveenseweg in Deventer. With slogans like 'Hoe Pittig wil je het hebben! ', which is literally a play on words in Dutch meaning - 'how spicy do you want it', or 'how tough do you want it', Wittenborg started creating its own unique brand. 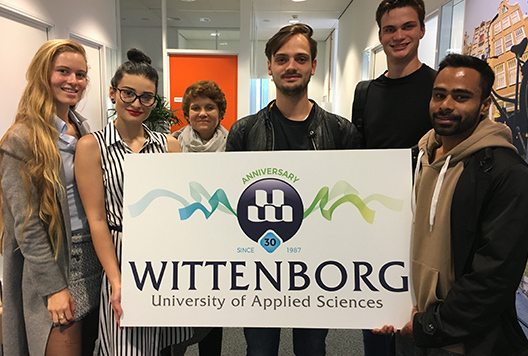 When in 2003 Wittenborg opened its doors to international students it moved, with its new English and Dutch programmes, to a 3-storey building at Nieuwe Markt 23, right in the centre of Deventer - one of the oldest cities in the Netherlands. It was also from here that it started positioning itself as an international Business and Management School offering all its programmes in English. From here it quickly spread out over three European cities: Apeldoorn, Amsterdam and Vienna. In 2010, the school moved from Deventer to Apeldoorn after discussions with the city of Apeldoorn as part of ambitions to attract more institutions of higher education to the city. It moved into a wing-building of ROC Aventus at Laan van de Mensenrechten 500. Then came 2015 - a big year for the school in terms of extension. Not only did it open a campus in Amsterdam, but also a second location in Apeldoorn, Spoorstraat 23, forming part of the city's new education hub around the railway station. This year, Wittenborg reached another milestone - opening its first transnational campus in the heart of Vienna, Austria. 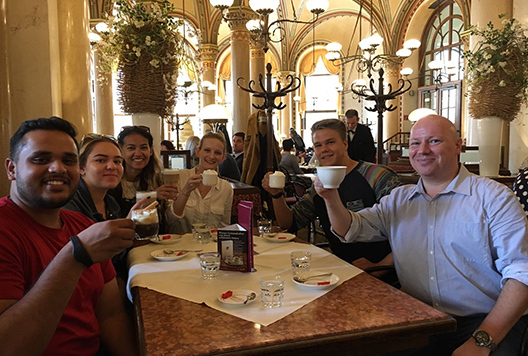 This year the university reached 100 different nationalities that studied here the past three years, with the two latest additions being from Finland and Belarus, making its classrooms more diverse than ever. Student numbers grew by over 15% in the 2017/18 academic year, and will reach around 700 by the end of the year. Wittenborg's 10-year plan, unveiled in 2013, sees it aspiring to reach a number of 1,500 students. It also aims at growing into a broad university with 5 schools: School of Business, School of Hospitality, School of Education, School of Arts & Technology and a School of Health and Social Care. It has been and continues to be involved in various research projects. The latest as an education partner in the Robotics Experience Centre Testing Ground Project - a venture which advances robotics technology in the eastern provinces of the Netherlands. Something the partners hope to strengthen is the country’s Smart Industry overall, with the resulting growth in employment . Previously, Wittenborg was also involved in the GREAT Project - an EU-funded research project in growing renewable energy applications and technologies. The coming year will see new research projects started in the fields of sustainability and innovation and according to Wittenborg's chair of the executive board, Peter Birdsall, the education priorities for the new year will be to ramp up academic quality and improving student experience. In the coming years Wittenborg will launch a range of a new programmes at various locations, new and old - including a Master of Arts (MA) in Education - in conjunction with its long-term academic partner in the UK, the University of Brighton, which will permanently move the institute away from only being a Business School, towards becoming a broader private and international University of Applied Sciences!